Ahmed Ghaly, Erwin Bocarro, Atanu Bandopadhyay and Jyoti Ranjan Maharana. We are pleased to welcome four new GEOVIA Champions, Ahmed Ghaly from Centamin, Erwin Bocarro from Saudi Comedat Company Ltd., Atanu Bandopadhyay from Atha Group, and Jyoti Ranjan Maharana from Indian Metals & Ferro Alloys to the GEOVIA Champions Program! 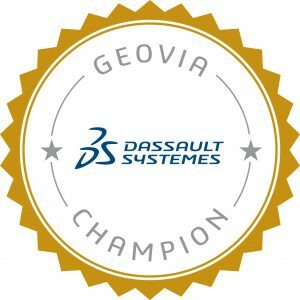 Learn more about their accomplishments that make them stand out as Champions for GEOVIA below. Ahmed is currently the Open Pit Superintendent for Centamin where he has been since 2009. Since his time there, he has been a part of the production planning team that has helped the site increase production. With nine years of extensive experience using GEOVIA software, he uses Surpac for design, MineSched for scheduling, and Whittle for Optimization. 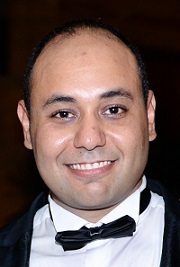 Ahmed has been involved in pit designs, dump designs, hauls roads designs, tailings storage facilities, stockpiles management, developing budgets and the LOM plans recently. Further, he has extensive knowledge and experience in production planning. Mining Engineer, Saudi Comedat Company Ltd.
Erwin Bocarro, is a Mining Engineer for Saudi Comedat Company Ltd. with more than 13 years of experience using GEOVIA software, namely Surpac. He also uses Minex for the Company’s various business requirements. Over the years, Erwin has attained a high degree of specialization in stitching of ore lithologies, Borehole Database management, Reserve/Resource Estimation and mentoring Mining Engineers, Geologist, Surveyors, Draftsman and other Technical staff. He also received his Second Class and First Class Mines Managers Certificate of Competency. 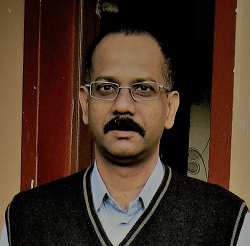 Further, Erwin is presently a member of the PolyMAAG (Mining Engineers Association) in Goa and often presents at different forums and on many occasions to The Technical Personnel of The Indian Bureau of Mines on the use of Surpac Mine Planning Software. Some of his major accomplishments include preparing/updating fully stitched eight wireframe models, which he has also attained as his specialty, for local projects and fourteen Business Development projects overseas in Iron Ore / Coal / Limestone and Bauxite in detailed due diligence. Atanu has nine years of experience in the field of Exploration and Mining Geology over Pan India as well as a few experiences in South Africa and Nigeria. 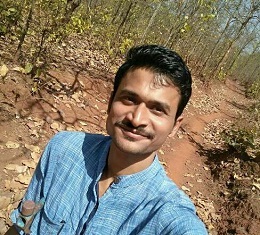 He attained his Master’s Degree in Applied Geology from the University of Calcutta in 2011 and started his career as a Geologist for a private firm. At present, he is a Senior Geologist for Atha Group. 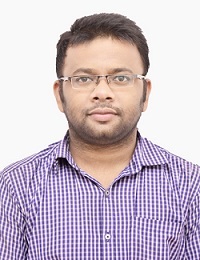 In this tenure, Atanu has gathered experience in various Geological software including Surpac and Minex and applying to those in the practical field with much success. His hobbies include cricket and painting. Senior Mining Engineer, Indian Metals & Ferro Alloys Ltd.
Jyoti is a Senior Mining Engineer with five years of experience using Surpac in mine planning. Surpac is his expertise and he uses it widely for Pit and Stope Design. It is also used in his other daily mine operations such as volume calculation of daily development and comparing it with actual volume, designing the monthly development plan for both opencast depending on our volume requirements, haul road designing, dump rearrangement, steepening of pit among others. Jyoti’s responsibilities include preparing five years pit excavation design for their opencast mine, preparing the final dump plan for the dumping purpose of their mines, preparing the mining design for common boundary with the neighbour mine, and preparing the extraction process and equipment calculation via decline for their underground mine. Once again, welcome aboard Ahmed, Erwin, Atanu, and Jyoti!